A recent report spotlights so-called non-wires alternatives to expensive transmission line upgrades. The state’s utility commission ended up accepting a compromise. Central Maine Power upgraded its transmission system in some areas, while a local clean energy developer, GridSolar, constructed a 1.85-megawatt solar and storage project. Both projects were reliable, but after the projected load growth never materialized, the solar and storage project proved more economical than large-scale transmission upgrades with fewer sunk costs. The case is highlighted in a recent industry report that suggests so-called non-wires alternatives — combinations of storage and distributed generation that don’t depend on long-distance transmission — offer a less risky and more flexible option to help utilities avoid overbuilding capacity. “This is a really interesting and important aspect of non-wires alternative projects,” said Brenda Chew, a research analyst with the Smart Electric Power Alliance (SEPA), which just published a joint report with the Peak Load Management Alliance (PLMA) about the potential for non-wires alternatives. Chew found that a traditional system in Boothbay, Maine, would have cost ratepayers an additional $12 million and the asset would have been stranded, meaning ratepayers would be paying for it despite the capacity not being needed. The Maine project is one of 10 case studies Chew and her colleagues reviewed in which decision makers chose alternatives to high-powered lines and substations. Such projects are popping up across the country. 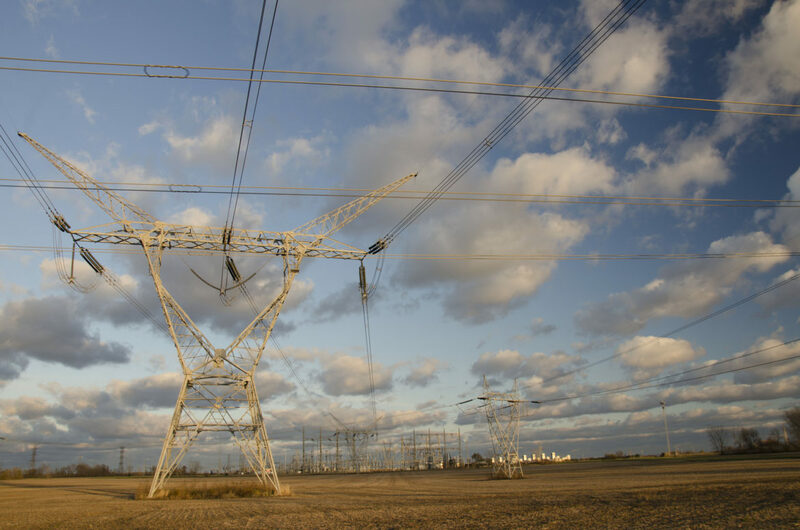 In Illinois, the state’s largest electric utility, ComEd, successfully piloted a battery project that it installed to provide backup power during outages rather than running in new transmission wires. The market for alternatives to big transmission projects is fledgling, but growing. The authors found more than 100 projects across the U.S. today. In 2017, $63 million was spent in on these kinds of alternative projects, but that’s projected to increase to $580 million by 2026. A few takeaways: Alternatives are proving successful in the field and have delayed expensive infrastructure projects, saving ratepayers money. “There are non-wires projects out there, many of them using battery storage, that are cost-effective and make more financial sense than the traditional infrastructure upgrade,” Chew said. Sounds great, so why aren’t they being adopted at fever-pitch? Utilities make money by building projects, and the rate-based cost recovery model is an obstacle to widespread adoption of these alternatives. Chew and her co-authors found a need to evolve “the utility business model to provide alternative revenue streams and incentives for utilities to explore benefits from DER technologies.” But they acknowledge this would require changes to regulations. That’s a heavy lift in many places, but it has been done before. One of the case studies looked at a project in New York with Central Hudson Gas & Electric, where the utility worked with state regulators to create an incentive-based compensation model that allowed the utility to split the benefits with its customers — 70 percent of the savings go to the customers and 30 percent to the utility, according to Chew. “The regulatory environment right now may not be super conducive to utilities building these projects, but the compensation model that Central Hudson worked out with New York’s public utilities commission is a good example of how they are finding ways to incentivize utilities to make that change,” Chew said.